February 18, 2014 No Comments on Who Are We? Prohab Therapy Specialists is a clinician owned and operated company dedicated to developing leaders in the rehabilitation industry. Our staff of highly trained therapy professionals will design an individualized treatment program to help our clients achieve their highest level of functional ability in a short period of time. 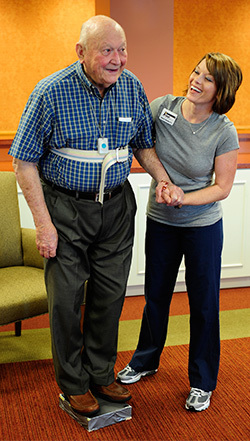 Through utilization of the latest treatment techniques and technologies available to the physical therapy industry today, Prohab’s therapists will educate clients and their families on lifestyle modifications allowing them to maximize their quality of life.